In an escalating dispute between Saudi Arabia and Canada, many Saudi students in Hamilton region now have big questions regarding their futures. McMaster University and Mohawk and Niagara Colleges are all trying to figure out what will happen to hundreds of Saudi Arabian students expecting to attend the schools this fall. The three Hamilton and Niagara post-secondary institutions have approximately 250 Saudi students between them, with the bulk of those attending McMaster. There are an estimated 8,000 Saudi Arabian students in Canada who find themselves caught in the middle of an ongoing diplomatic conflict between Canada and Saudi Arabia. 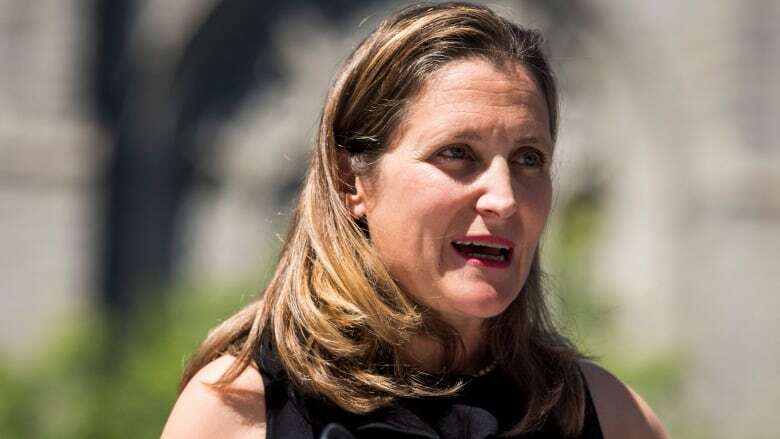 The dispute began last Thursday when Foreign Affairs Minister Chrystia Freeland tweeted pointed criticism at Saudi Arabia's detainment of two female activists. Saudi Arabia responded by expelling Canadian Diplomat Dennis Horak. On Sunday, Saudi Arabia announced that it would be suspending Saudi scholarship programs for thousands of Saudi students attending Canadian post-secondary institutions. Both McMaster and Niagara College said they are making efforts to support the students whose future studies here are suddenly up in the air. McMaster has approximately 150 students attending programs in the Faculty of Health Sciences, and 40 in other undergraduate and graduate programs. The university told CBC it is "... working with students to determine options and to share other information with a goal of mitigating the impact of this changing situation." Niagara College said the school would lose 40 Saudi students, most of whom are enrolled in the business administration program. For Saudi students still in the country, Niagara College is "offering academic counselling and support while continuing to seek clarity on the immediate implications of the government of Saudi Arabia's announcement." Meanwhile, Mohawk College will be without 27 Saudi students, 22 of whom are already enrolled. Of that 27, 13 are recipients of Saudi scholarships. "We're hoping the issues can be resolved so that these students will be with us when classes begin next month," said the college in a statement. Niagara College also operates the two campuses in Saudi Arabia, both of which are segregated by gender. In a statement regarding their overseas operations Niagara college said "Niagara College is unaware of any impact on our operations in the Kingdom of Saudi Arabia…"